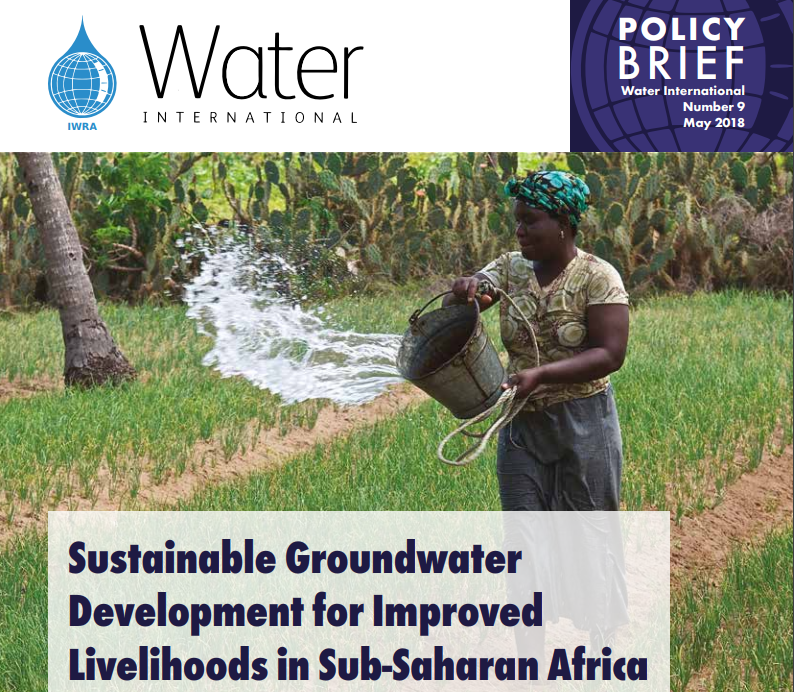 A new policy brief titled Sustainable Groundwater Development for Improved Livelihoods in Sub-Saharan Africa was published by the International Water Resources Association (IWRA). Based on work carried out by IWMI and partners through the support of the Rockefeller Foundation and WLE, the brief describes the potential and constraints of groundwater irrigation Sub-Saharan Africa. The most critical constraints lie in developing supply chains, finance, and other essential infrastructure. The brief is based on research by International Water Management Institute (IWMI) and CGIAR Research Program on Water, Land and Ecosystems (WLE) and other partners. Download here. Groundwater flowing beneath the land surface of Tanzania has the potential to provide year-round sources of freshwater to irrigate crops when rains fail and to supply safe drinking water at low cost. There remain, however, key questions regarding the development of this vital resource including how much groundwater can be used sustainably, what groundwater development pathways will best reduce poverty, and how use of groundwater will affect other water sources such as rivers, wetlands and lakes. In the short article, Prof. Taylor raises concern about groundwater depletion, as well as declining lake and river levels in many areas of the world, and that raises not only important scientific questions about how and why, but also a crucial problem for society. Looking at recently published research he notes that there is increasing evidence of non-renewable freshwater use – basically more freshwater is being used and then either lost to evaporation or rendered useless by pollution and increased salt levels. The finger of blame is pointed firmly at irrigation, but the demand for food will only rise in the coming years and decades. Groundwater, particularly in Africa, has great potential but its use is hampered by poor data and unreliable models and the joker card of climate change. The Grofutures Catalyst project, which has been green-lighted to become a Consortium project for the next 4-5 years, will tackle some of these issues in detail. More on this project will follow next year.